According to the aptly named website howmanypeopleareinspacerightnow.com, there are currently three people in space. 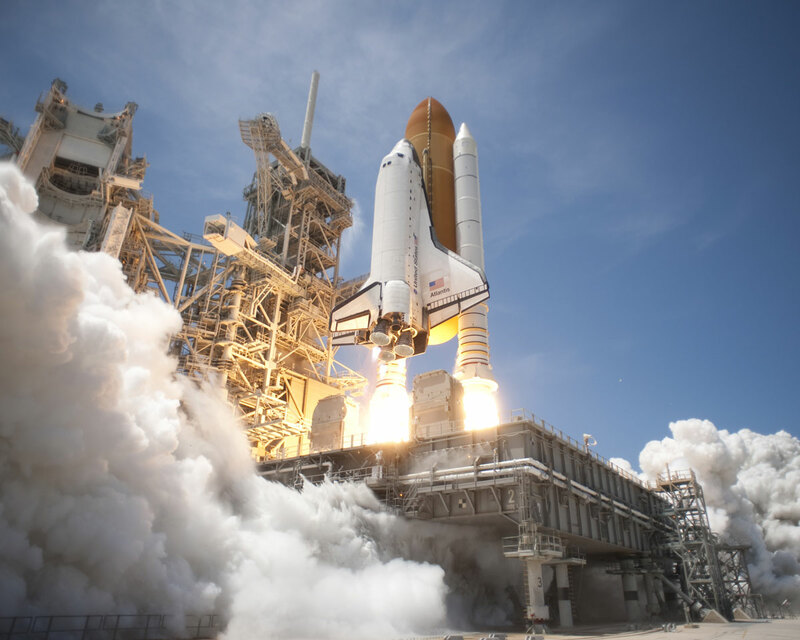 Although NASA retired the Space Shuttle program a few years back, there are still grand plans for sending people back to the moon and eventually to Mars. In honor of the 50th anniversary of Apollo 11, when Neil Armstrong became the first man to walk on the moon (with Buzz Aldrin a close second), we thought it’d be interesting to take a look back at the knives that have gone into space. Since the first people were sent into space, they have almost always had a knife within reach. I’m not sure whether the first man in space — cosmonaut Yuri Gagarin — carried a knife (though I’m sure he did). However, we do know what the first American man carried into space. According to the Smithsonian National Air and Space Museum, Alan Shepherd carried the Camillus Mil-K Demo Knife in his kit during the United States’ first manned mission to space on May 5, 1961. 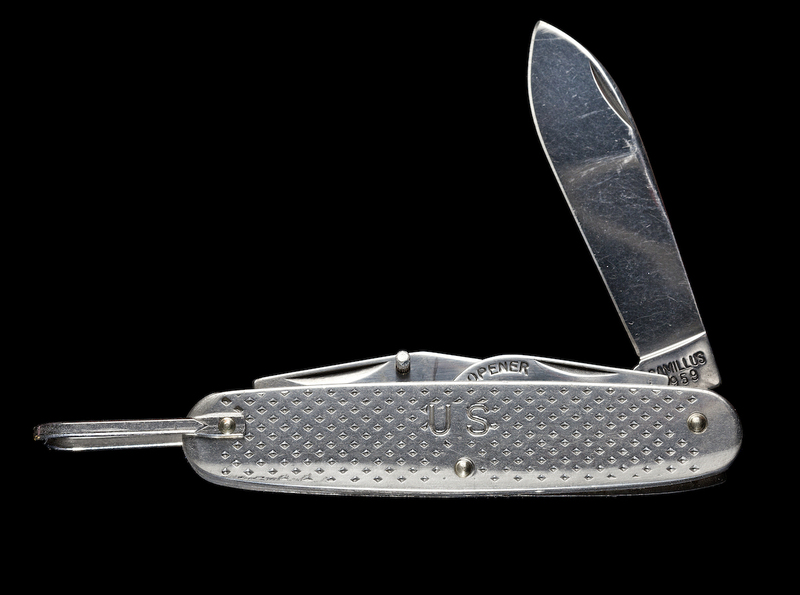 This was the US-equivalent of the classic Swiss Army Knife made by Victorinox. 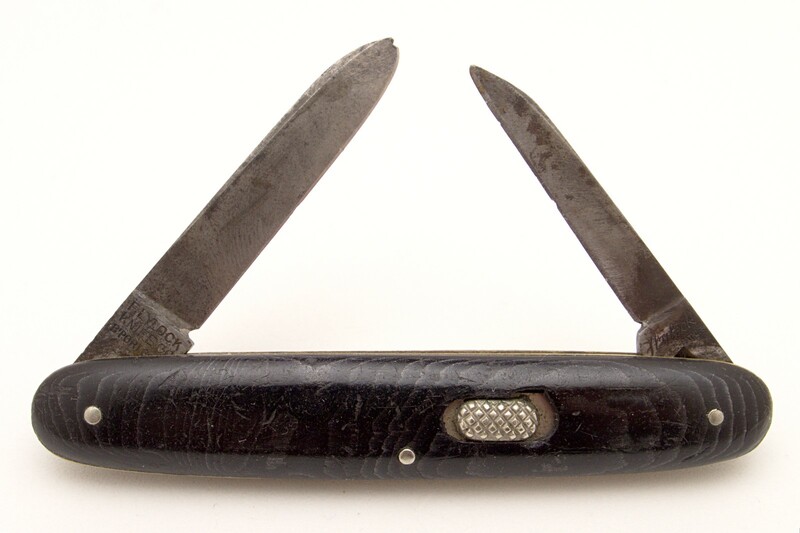 The version Shepherd carried had a tang stamped with 1959. Unfortunately, Camillus filed for bankruptcy in 2007 before being bought out by Acme United. This knife has one of the coolest stories. At the time, NASA had this philosophy that if something didn’t exist, it would simply make it. The team needed a survival knife for emergencies and couldn’t find one suitable for them. So astronaut Gordon Cooper and NASA doctor William Douglas reached out to Bo Randall of Randall Made Knives to create a special design. It must be long enough to be a sword, sharp enough to use as a razor, wide enough to use as a paddle, and heavy enough to use as a hatchet. That quote from a historian perfectly sums up the versatility and diversity of design represented in the legendary Bowie knife. 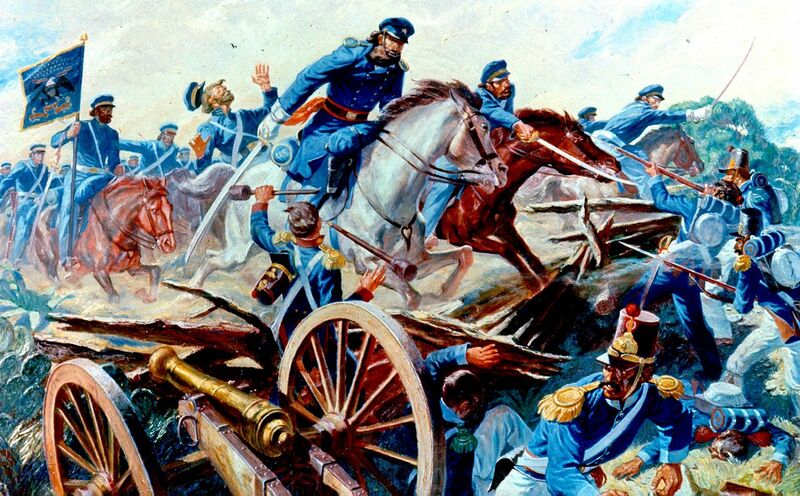 There is no single item with a stronger connection to the American experiment than the Bowie knife. 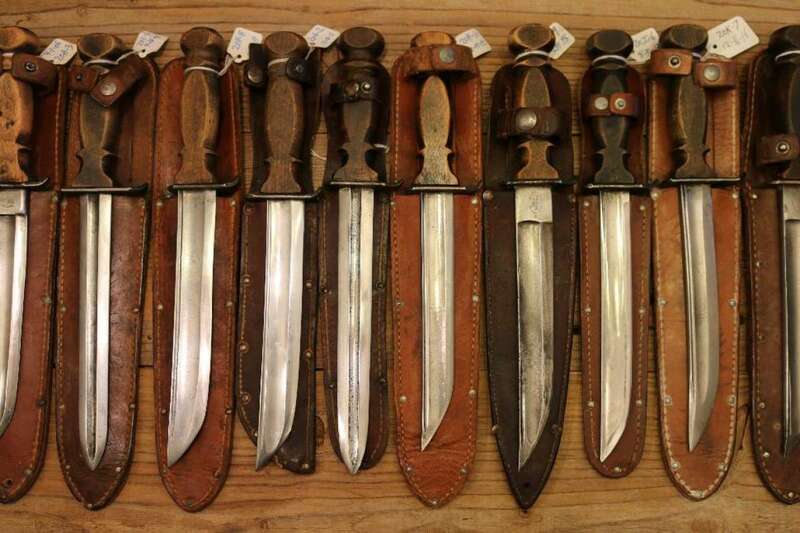 So where exactly did the Bowie knife come from and just what is a Bowie knife? We’re here to answer your questions. Before we delve deeper into the history of the knife, here’s what the experts say is the consensus Bowie knife design. I fooled you. There isn’t one. Different historians and knife enthusiasts will tell you different things. Some say any large knife with a blade exceeding five inches is a Bowie knife. Other says a Bowie knife must have a double-edged point. In general, most would say a Bowie knife is a large fixed blade (although you will find the occasional folding Bowie like the Spyderco Slysz Bowie) with a clip point blade. 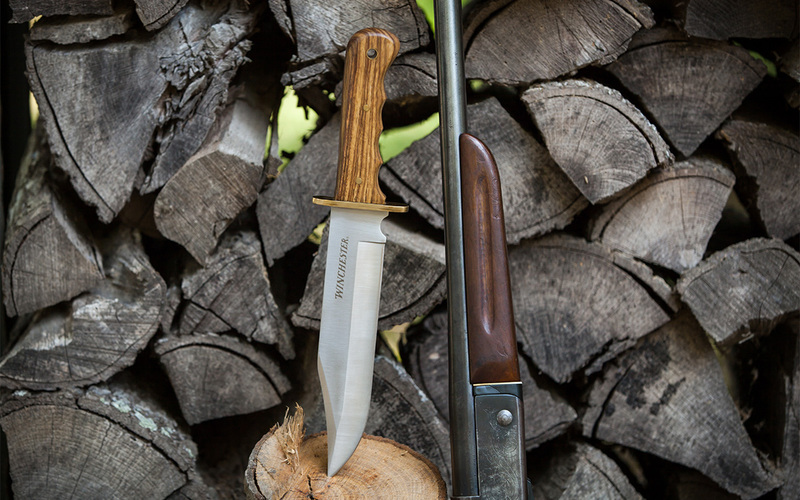 A hand guard is often a staple of the Bowie but not necessary. This Winchester Bowie is something that’s reminiscent of a knife people think you would see in the old American frontier. I wouldn’t say it’s the quintessential Bowie knife because there are better quality versions out there, but this is what many see when they think Bowie knife. It’s impossible to trace the lineage of the famed Bowie knife without an earnest look at the knife’s namesake: James Bowie. Back in 2010, one of the contributors to this blog wrote a nice profile about Bowie, but it’s important to provide some context. If some catastrophe were to happen in my city and humans started excavating at the former location of my house thousands of years from now, they’d undoubtedly find a cache of folding knives and fixed blades like few others. 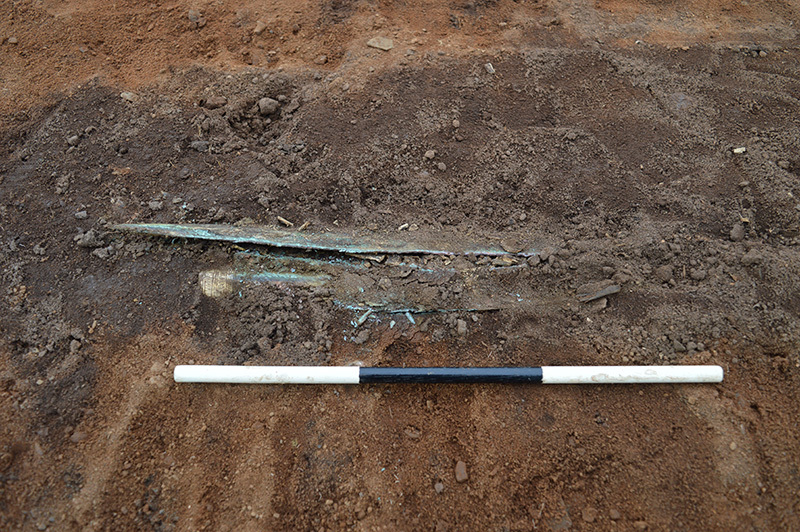 It seems like archaeologists may have found a blade addict’s house from the Bronze Age after discovering a hoard of metalwork, including an incredibly well-preserved sword from 3,000 years ago. Archaeologists were digging at a construction site in Scotland and found a cache of weapons from the Late Bronze Age. A group called GUARD Archaeology was commissioned to evaluate a field in Scotland before starting construction on two soccer fields. That’s when the group made the once-in-a-lifetime discovery. Apparently, the artifacts were found in a pit close to a settlement from the Bronze Age. Scientists are stoked about the discovery. Here they are working on the block in the lab. A few cool things were found, including a spearhead, bronze sword, a pin, and the remains of a sheath. This year marks the 30th anniversary of SOG Specialty Knives. For three decades, SOG has created some of the most innovative knives on the market. Considering the sheer amount of competition and knives that have come out since 1986, that’s saying something. Let’s take a deeper look at the brand and what they have in store for their 30th anniversary. 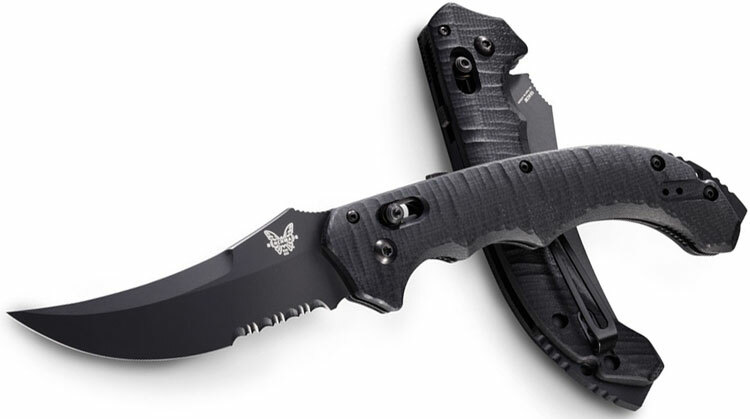 The origins of SOG date back to the Vietnam War when members of a highly classified U.S. special ops unit carried a unique combat knife on covert missions. At one point, the U.S. Government denied the existence of the group, which was known as the Military Assistance Command, Vietnam – Studies and Observations Group (MACV-SOG). Here’s more about the group from an article by Leroy Thompson published in 1986. MACV/SOG’s missions included: cross border operations into Cambodia, Laos and North Vietnam to carry out intelligence gathering or raiding missions on the enemy’s ‘home ground’; gathering intelligence about POWs and carrying out rescue missions when possible; rescuing downed aircrews in enemy territory (“Bright Light” missions); training, inserting, and controlling agents in North Vietnam to gather intelligence or form resistance groups; carrying out ‘black’ Psy Ops such as operating fake broadcasting stations inside North Vietnam; kidnapping or assassinating key enemy personnel; retrieving sensitive document so equipment lost in enemy territory or in enemy hands; and inserting rigged mortar rounds or other booby-trapped ordnance in enemy arms caches (OPERATION ELDEST SON). Needless to say, this group of heroes was no joke. In honor of our current giveaway of the Roman-inspired Thraex XII Tactical from US Gladius, we’re taking a more in-depth look at the swords and daggers from Ancient Rome. When it comes to swords from history, it’s hard to think of better-known weapons than those from the Roman times. Due to the countless parallels with modern day society and the drama that took place during the time, our fascination with Ancient Rome is almost as old as Rome itself. Before we venture into the swords and daggers, we’ll start with what Ancient Rome was like. Even though the peak of Ancient Rome was way back between 753 BC and 476 AD, Roman society was extremely advanced. Most of the wealthy Romans lived extravagant lifestyles with luxurious furnishings. The poor were on the other side of the spectrum. They didn’t have such lavish lives, but they did kill some time watching things like chariot races and gladiator fights. After a hard day’s work, Romans from all backgrounds would head over to the public baths—where they would relax, gossip, mingle, and recuperate. Rome wasn’t all fun and games, though. The Roman Empire—and the Republic to a lesser extent—were bent on expanding its territories through conflicts and conquests. Along with the gladiator events, weapons came in handy during battles. Maybe it’s just because of the countless movies set in Ancient Rome (such as Spartacus and Gladiator), but Roman weapons are very distinct. Let’s take a look at a few. The gladius was the primary weapon for the foot soldiers of Ancient Rome. The name was derived from the words gladiator, which means swordsman, and gladiolus, which means little sword. In general terms, the gladius sword features a double-edged blade that’s meant for thrusting with a few slices. Its other discerning feature is a knobbed hilt, which was typically ornate. 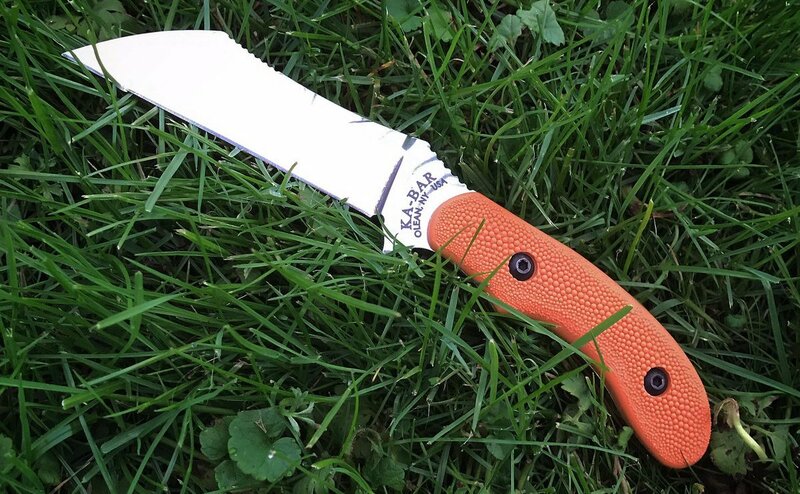 Even though the knife market is continually dominated by huge brands like Kershaw, Buck, and Spyderco, smaller companies also make fantastic knives and offer personal touches that those larger companies simply can’t. That’s where the Parker River Knife Company comes in. 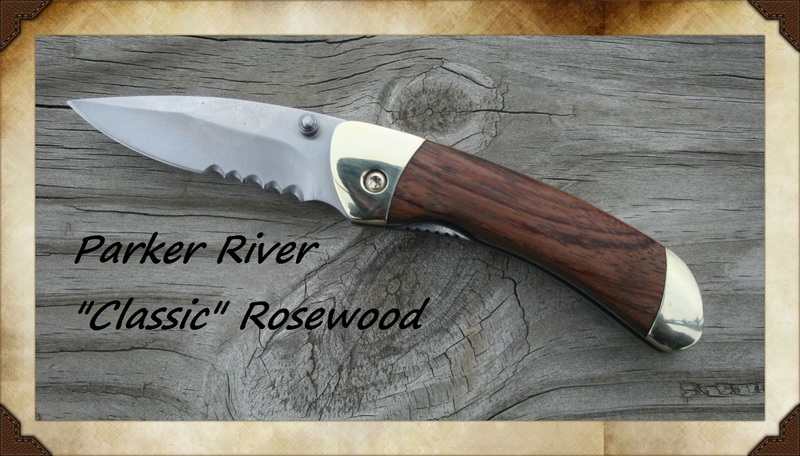 Parker River Knife Company’s story began nearly 100 years ago along the banks of Parker River in Newbury, Mass. A restaurant and gift shop opened right on the water, but after many years it was converted into a marina. Once the owners decided to retire, Jim Bowes and his wife decided to take over the family business and write a new chapter in the family story. Drawing on years of experience working along the Parker River, we’ve designed a line of knives that are as beautiful as they are functional. The river has taught us to respect and love nature. Our products are designed to last a lifetime and to be cherished as much as we love this little river. What really sets Parker River knives apart from some of the other knives you see on the market is just how much these knives look and feel like the same ones your granddad might have carried. This ensures the knife not only features a handsome design but also boasts a look you know will never go out of style.